AMI - dedicated to protecting people & Property. Suitable for one-off property and vehicle testing. DIY test kits include 2 x Testing Kits. Contents – DIY Forensic Screening Kit. AMI trained and accredited testers carry out a standard screening of the property. AMI screening kits will determine a positive or negative result. AMI’s reporting procedure records all tests carried out with a full photographic journal detailing the location, date and time of test. This is done using AMI’s cloud based real time reporting system, a process compliant with both OSHA and NIOSH. If the reading is above 0.5μg/100cm², an AMI report provides you the necessary information to make an informed decision on what to do next. AMI can also provide training and testing kits for property owners and property managers wanting to carry out their own tests. AMI’S cloud based real time reporting gives you peace of mind when buying, leasing and selling. • Regular meth testing between tenancies at a discounted rate. • Test history and documented reference. 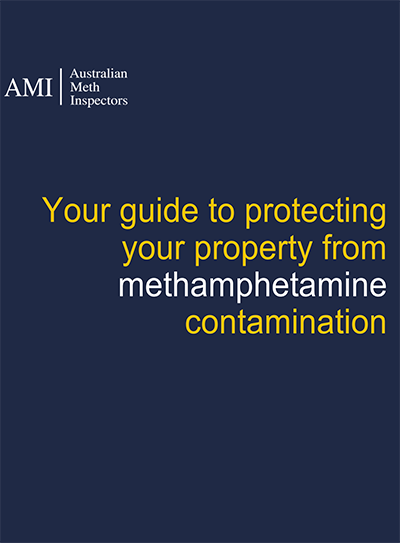 • Establishes meth status at the start of tenancy & provides ongoing meth management between tenancies. • Provides evidence of meth history for the property. Contact us today to learn more about how AMI can support your business should the need for emergency testing or cleaning arise.